Suwari or Suvari is a unique and traditional snack that can be seen in many Gujarati households during Diwali festival, unfortunately in this modern era this old school gem is loosing it's popularity. 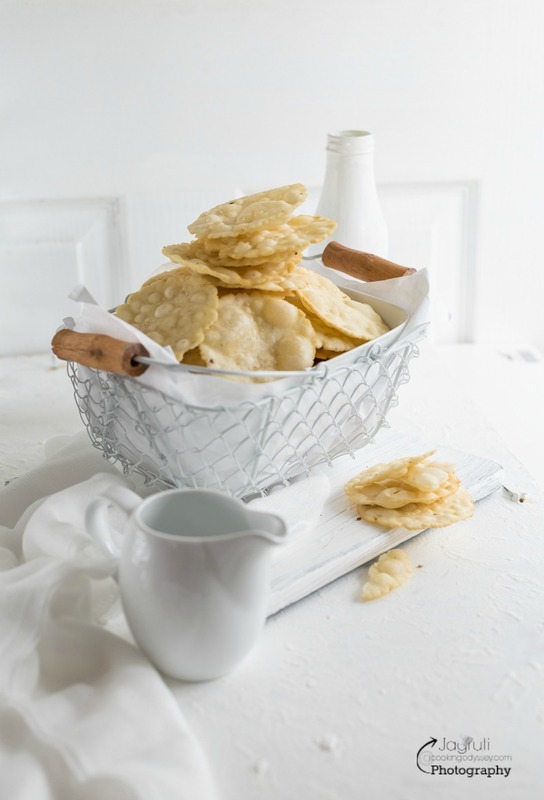 It's mildly sweet, crispy, crunchy yet melts in your mouth and these deep fried thin crackers are my favourite. Suwari translates Smooth. 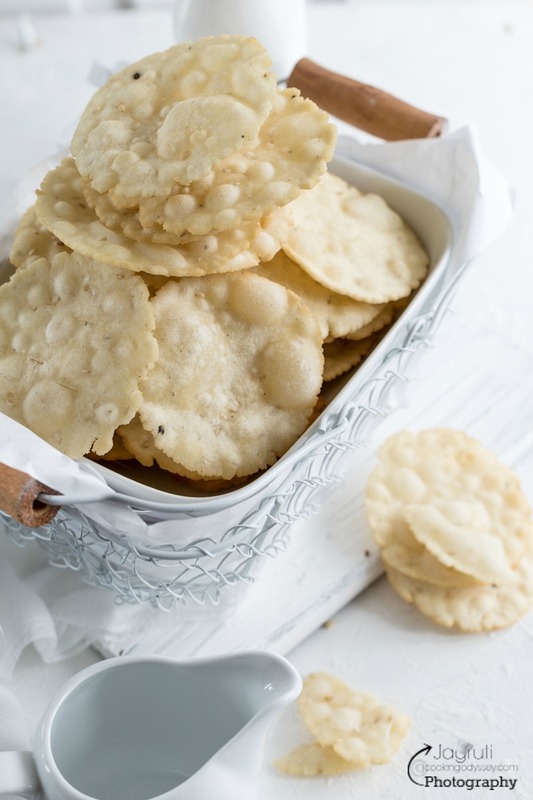 These crackers made using Plain flour, Ghee, Sugar and Sesame seeds. 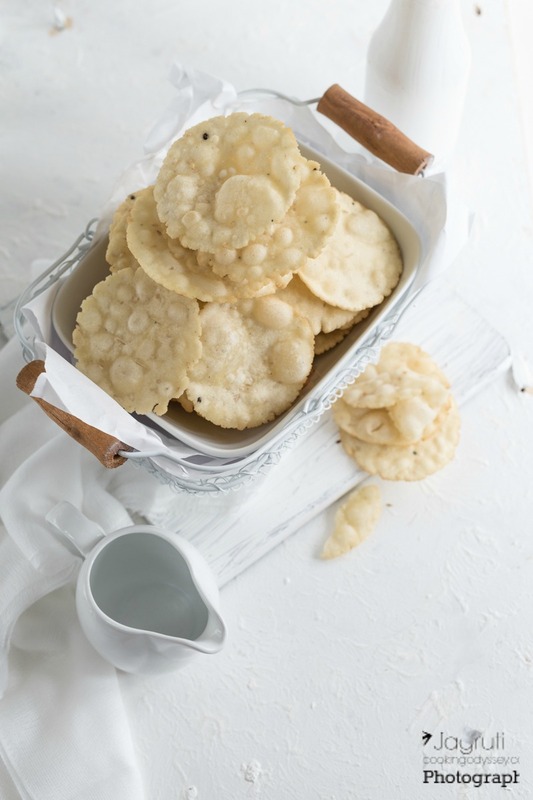 Although these delicious crackers are specially made for Diwali, we don't serve these to guests. Nowadays it is considered as old fashion but for family members it's a favourite tea-time munchies during the festive holiday. Suwari was being made during my childhood every Diwali and today brings such great feelings of the past and the only way I can describe to my family the joy of this old school dish is by preparing it this year and passing on the previous experiences of my Diwali celebrations. So to set the festive mood in the house this year I involved my daughter in making these, while the hands did their job, my chitter chatter about my childhood and laughter flowed freely :) And surely scraps of these woven memories will be cherished in the family. Traditional Suwari is normally made without any flavours, but I made small batch with cardamom flavours along with plain Suwari. If you are a fan of traditional recipes, make it on this Diwali ! In a big plate sieve plain flour and melted ghee and mix well. Add sesame seeds and cardamom powder. Add sugary water and once again mix well. Knead the dough, if you need more water add very little. Knead the dough for 10-12 minutes. Divide the dough into equal pieces. Keep the dough balls covered with a clean kitchen towel. Make balls and roll out in a circle very thinly. Keep them separate on a clean kitchen towel and let it dry little. Heat ghee or oil in kadai on a medium heat. Let it completely cool down , then store in a air tight container. Enjoy with glass of milk or masala chai. These look quite delightful. I think I've had something similar with cumin seeds instead of sesame seeds. Jagruti you've brought back some memories. My foi sasu loves them and always used to make them for Diwali. Whenever we went to help to roll out mathias, we would also help her to roll out the suvari, hers being thin. She's old now and no one makes suvari. Perhaps I should surprise her this Diwali by making these delicious sweet snack. Lovely share dear.. interesting recipe..love to try..can we substitute Whole wheat flour for plain? The size of this is smaller than Puri? food and childhood memories are so interwoven! loved this old classic! These are new to me,would love to try these sometime. Thanks for sharing. Oh my!!! these would make an awesome snack for visitors during the festive season. I love your props. You reminded me of my mum. She made these by the barrels so that we could munch on them. The crackers look very inviting Jagruti ! They would make perfect tea time snack..would love to try the recipe with whole wheat flour. Wow, what a delicious Gujarati style cracker. I had these Once in my Gujarati friend house. They taste so crisp and yum yum. Wow..so crispy crunchy snack ! Perfect with a a cup of hot tea. Will try this sometime. wow this suwari snack was served when we visited our son's friend party. dint know the name that time but loved the crunch and taste of this Gujarati recipe. 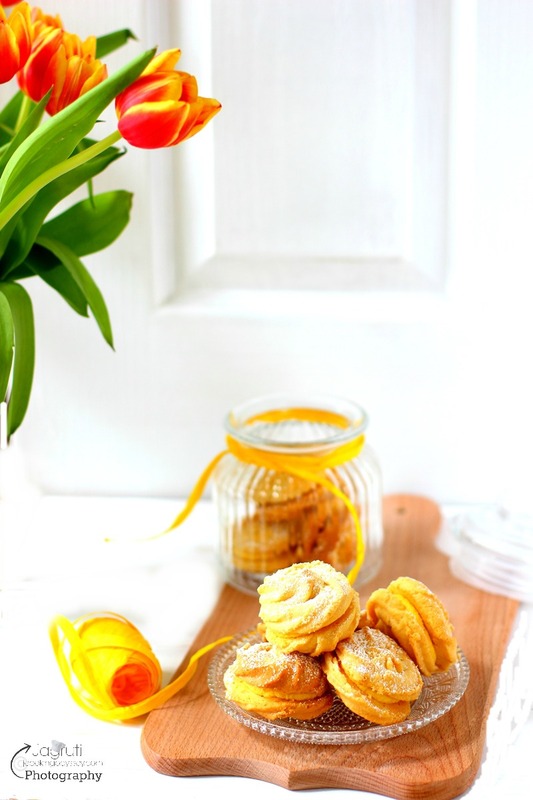 Looks absolutely tempting snack and a must try recipe. "aa mara mate navu che". I have never tried this crisp pooris / crakers :( .. It is similar to shakkarpara i guess ..
Wow that looks tempting jagruti, yes these days we don’t get to make snacks which we have enjoyed as kids! good food sure to bring back great memories with it! Love the beautiful capture in serene whites! This looks so yumm to have with a cup of tea. I love all the Gujarati snacks. What a beautiful shot! Can I pick one up! Looks so crispy and delicious!